This is the most bizarre aviation video I have seen in a long time. It was shot in Miami just before the Superbowl, and it shows the results of a bird strike in a helicopter. Bird strikes are unpleasant for all involved, starting with the bird. Small-seeming birds can do an amazingly large amount of damage to an aircraft (cf: "Miracle on the Hudson"). This involves a big bird, and the results are much different from normal for all involved. Thanks to John Tierney of Sense & Nonsense for this tip; original source was here. The video has the virtue of being both creepy and semi-miraculous. UPDATE: Thanks to reader J. Stein, I now know that the headline for this item should actually be "turkey vulture strike." Details below. Live and learn! "In the interests of communicating clearly with your international readership-- this is a Turkey Vulture, not a Buzzard. 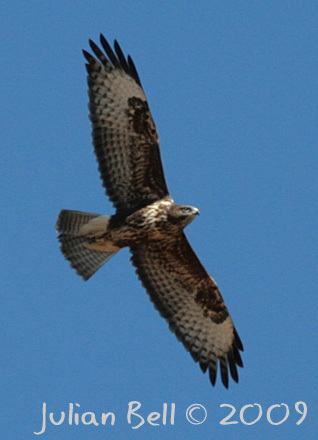 Buzzard is the name of a large class of buteo hawks on the other side of the Atlantic (same family as our North American Red-Tailed Hawks). "Presumably in the pre-binocular days, European settlers saw these large soaring creatures in the sky and thought they were actually buzzards, and the colloquial name stuck even after the mistake became clear."